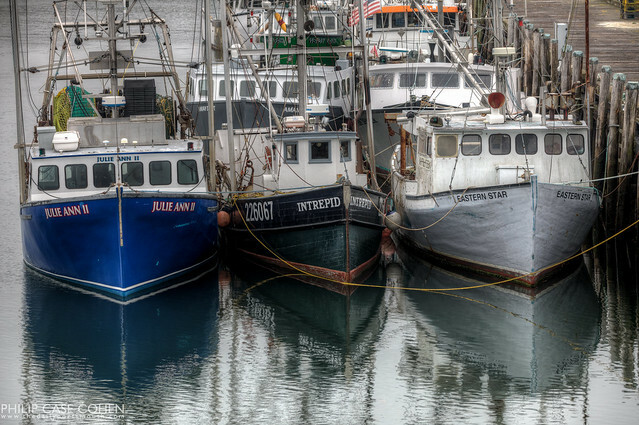 The Three Amigos sit at rest late in the day at the Portsmouth Commercial Fish Pier in the South End. A Bridge To Remember, originally uploaded by Philip Case Cohen. In 2010, the Memorial Bridge was still intact and standing guard at the mouth of the Piscataqua River. The bridge has since been dismantled and a replacement structure is being built offsite and will be floated up the river in the spring of 2013. 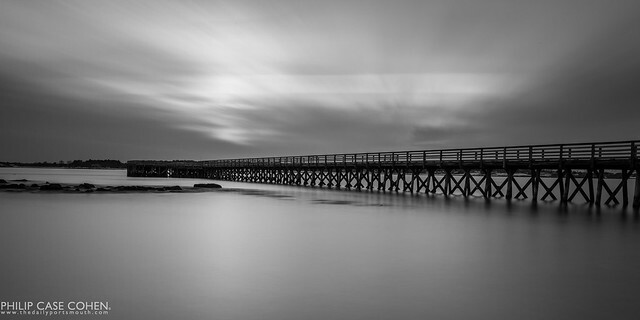 A long exposure at sunset captures the bare essence of the pier at Fort Foster. This coastal location is a great spot to visit and to photograph in all kinds of weather during all hours of the day. 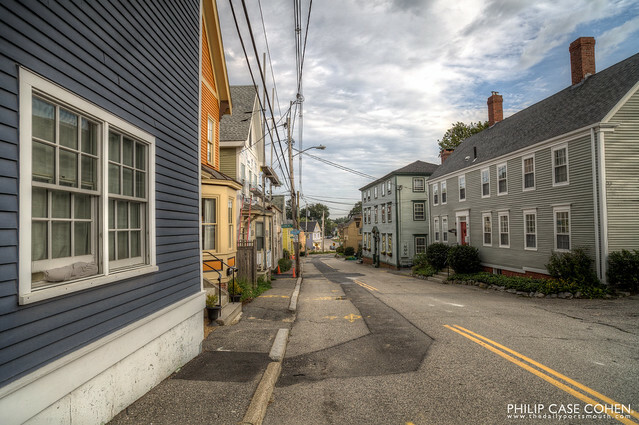 One of my favorite roads in Portsmouth is Marcy Street. It is incredibly narrow in spots – to the point where it feels as though one is risking an accident with either a pedestrian, car or telephone pole just by driving up the street. 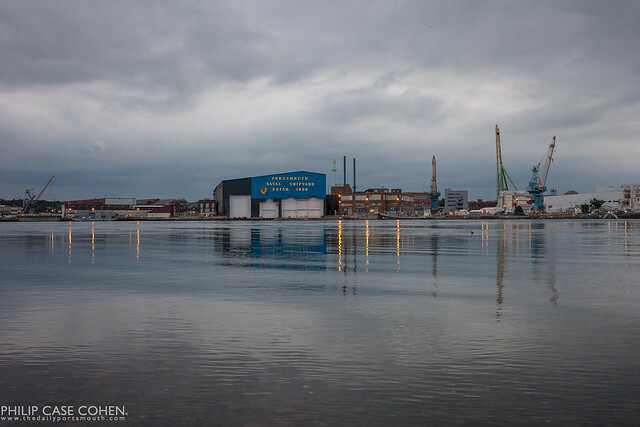 Along the street there are several historical landmarks including Prescott Park, Strawbery Banke, the Peirce Island bridge, a cemetery, and homes dating back centuries leading towards the waterfront. 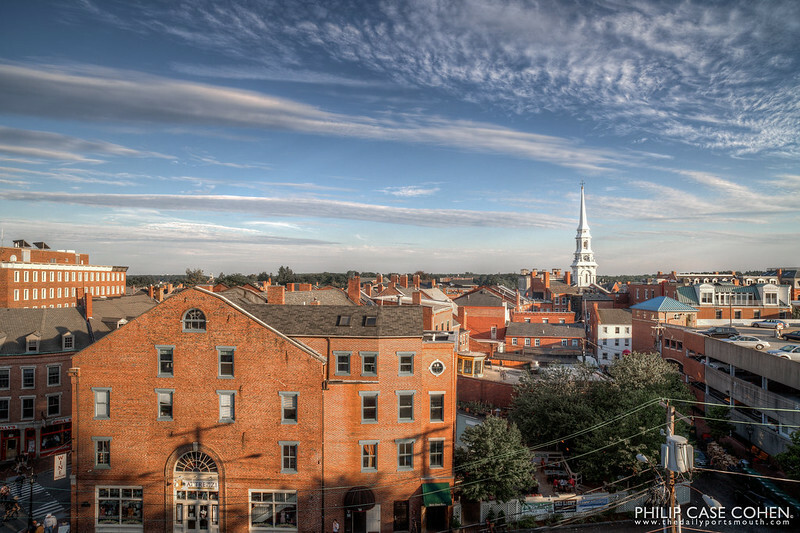 A late afternoon view of Portsmouth’s historic downtown.